This is the Carzone.ie guide to buying a used Mazda CX-3. 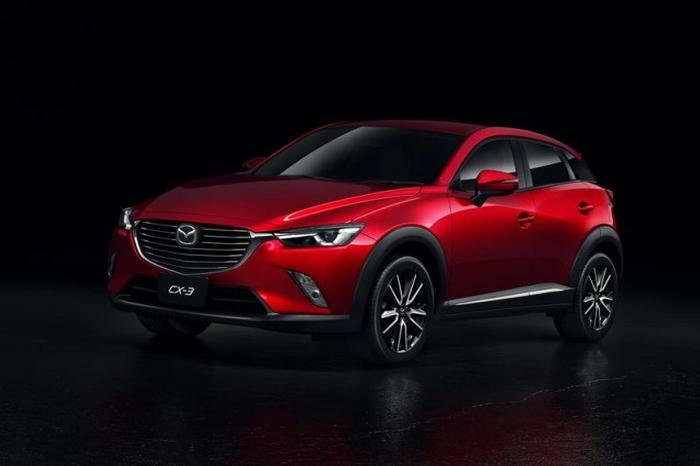 In Ireland, there are just two engines for the CX-3, the 105hp 1.5-litre SkyActiv-D turbodiesel and the 120hp 2.0-litre SkyActiv-G petrol. Nominally, these are both front-wheel drive and equipped with a six-speed manual gearbox, but the diesel (being turbocharged, whereas the petrol is normally aspirated) has more torque, so there is a four-wheel-drive option for it on top-spec models, as well as a six-speed automatic transmission (paired with the 4WD only). Trims here run SE, Executive, Executive SE, GT and then GT SL. Only the SkyActiv-G is available at base SE grade, while the flagship GT SL models are powered by the four-wheel-drive diesel running gear, with a choice of gearboxes; at the other three trim grades, it’s a straight choice between front-wheel-drive manual versions of the petrol or diesel. Equipment levels are good across the board and the 105hp FWD diesel will do 0-100km/h in 10.1 seconds with a top speed of 177km/h and 4.0 litres/100km (70.6mpg) combined, while the 2.0-litre petrol model is capable of 0-100km/h in 9.0 seconds, 192km/h and 5.9 litres/100km (47.9mpg). In 2018, the CX-3 was mildly updated with a new steering wheel, additional sound-absorbing material in the dashboard, tailgate, transmission tunnel and boot, re-tuned engine mounts on the petrol engine to reduce resonance in the cabin, revised dampers and lower-arm rear side bushings for smoother ride quality, recalibrated power steering, G-Vectoring Control, Advanced Smart City Brake Support, heated and auto-power-folding door mirrors, and a heated steering wheel option.